100% Wool Dryer Balls, Set of 3 Balls. Wool Dryer Balls circulate through your laundry during the drying cycle and help separate the clothing. The warm dry air moves through the spaces created by the dryer balls, helping the whole load dry faster. 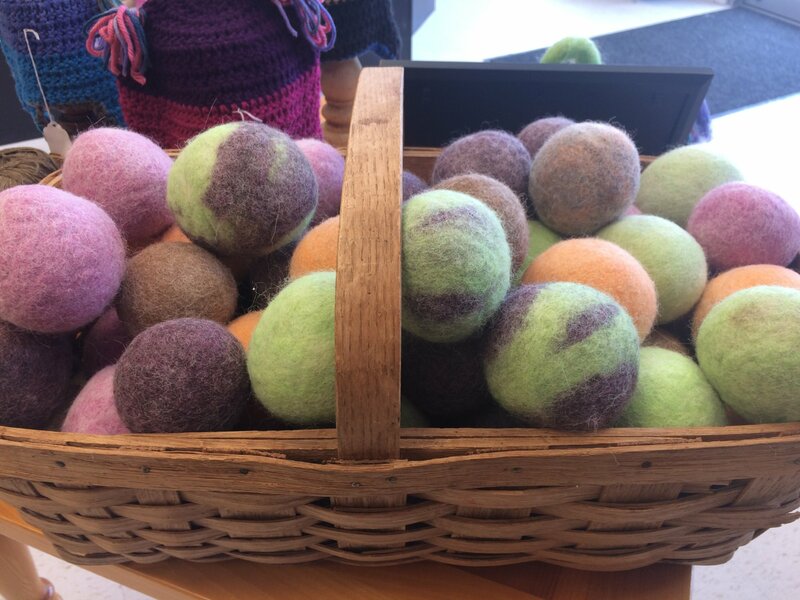 Dryer balls also help soften the clothes through the gentle friction of the felted wool fibers against the fibers of the clothes. Dryer balls are reusable and long lasting. Better for your clothes, your dryer, and the environment!